Sometimes creating the perfect mood for a living room is simpler than we think. While modular systems have always been seem as a way to somewhat customized furniture to ones need, few modular designs are inventive enough to allow you to do the same practically on a daily basis. 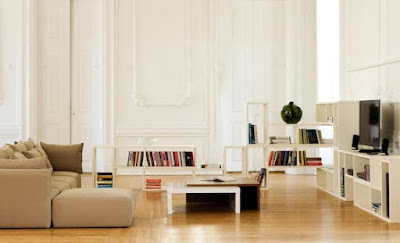 TemaHome’s Domino bookcase system and the Dune family of Sofas. Inspired on TemaHome’s heritage, both family of products were created to either stand alone or work modularly. The versatility of the Domino is on its ability to be quickly moved and configured without any tools whatsoever. In the other hand, while the Dune family of Sofa is becoming known among our customers for its affordability and comfort, it can also be configured to match your space allowing to add or subtract modules as you wish. So get creative! It’s your space, have it like you want, every other day of the week.